EXPERIENCE THE NEW 2018 LEXUS LS 500 NEAR FISHERS, IN! If you fell in love with the original flagship model that first launched Lexus into the global spotlight, you'll find your match in its new modern twin. 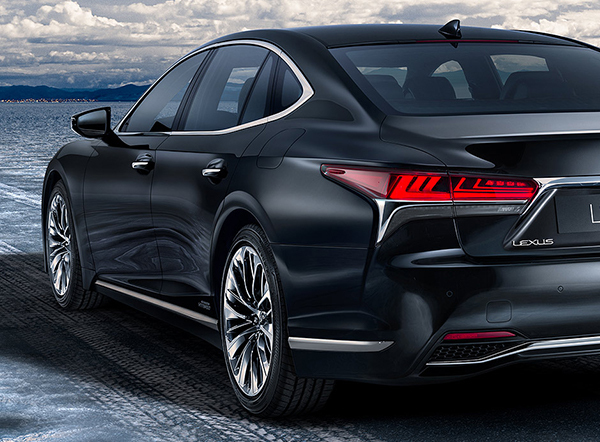 Introducing the cutting-edge 2018 Lexus LS 500. The 2018 Lexus LS 500 hasn't forgotten its legendary heritage, but now seeks to offer a welcomed modern twist to elevate your drives around every bend. This contemporary luxury sedan is as stunning as it is powerful, and will keep you entertained and informed at all times. 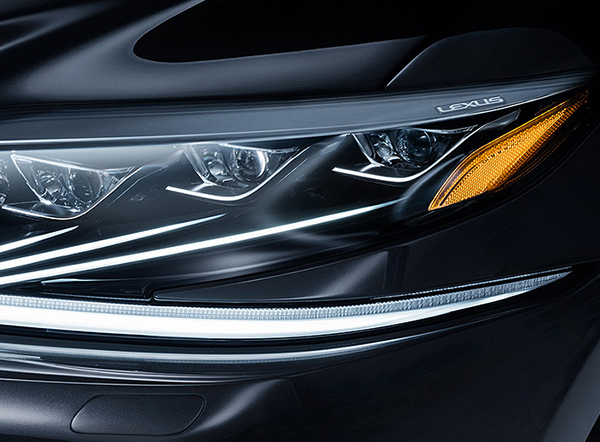 The intelligent 2018 Lexus LS 500 arrives soon at our Lexus dealership near Fishers, IN, so visit us today to ensure you're among the first to take it for a test-drive. Underneath the hood of the powerful 2018 Lexus LS 500, you'll find a potent 3.5-liter V6 engine that exerts a daring 415 horsepower and 442 pound-feet of torque. You'll never struggle for a spirited acceleration since this Lexus races from 0-to-60 mph in just 4.5 seconds, so you can push the limits with ease. What's more, you'll enjoy smooth gear shifts around every curve thanks to a 10-speed automatic transmission, a first for a luxury sedan. If you'd prefer eco-friendlier performance, you'd be wise to select the 2018 Lexus LS 500h trim instead. This Lexus hybrid features a 3.5-liter V6 engine with 310 horsepower and a lithium-ion battery, which combine to generate a 354 horsepower. Plus, the Lexus LS 500h also features a Multi Stage Hybrid transmission to help you shift gears faster and help you accelerate from 0-to-60 in just 5.2 seconds. Sophistication and functionality work seamlessly together inside the intuitive 2018 Lexus LS 500. When you and your guests embark in this luxury sedan, you'll relax into optional 28-way power front seats with heating, cooling and massage functions for maximum comfort. You'll also be able to stretch out in your spacious cabin while listening to your favorite songs streamed in crystal-clear quality thanks to your available 3D surround Mark Levinson® audio package. To help simplify your commute, the 2018 Lexus LS 500 even comes with a convenient 12.3-inch wide navigation display and available 24-inch color heads-up display to make following directions and staying informed a breeze. Your safety is a top priority of the 2018 Lexus LS 500, which is why it comes standard with the Lexus Safety System+ suite of driver-assistive technologies to help mitigate and avoid collisions altogether. Thanks to standard safety features like Lane Departure Alert, Dynamic Radar Cruise Control and a Pre-Collision System, you'll always remain alert and notified of any potential hazards on the road. 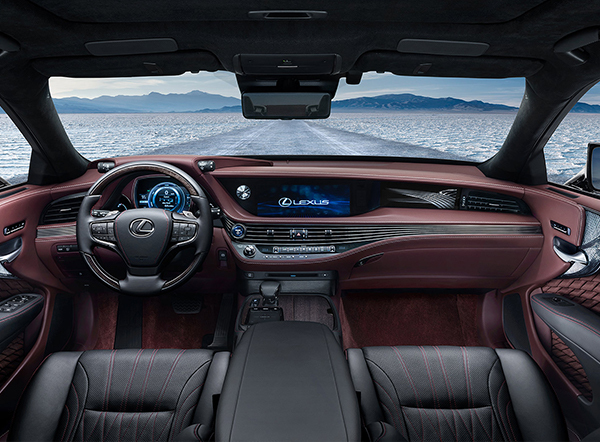 But if you'd like additional protection, you can also equip your Lexus with an optional Advanced Safety Package that boasts the world's first system with Intuitive Pedestrian Detection with Active Steering. So, when you decide the 2018 Lexus LS 500 is the perfect luxury sedan for you, hurry into Tom Wood Lexus today!